Flyer printing is an essential promotional item for most businesses. Being cost effective and completely customisable makes them a popular choice for raising awareness of any business. Flyer printing from Shane Media is a wise choice, as we use only the highest quality materials and modern printing techniques. Available in 8 paper stocks, from an economic 130gsm to a weighty 450gsm, with a choice of Gloss or Silk finishes. Sizes start from a pocket friendly A7 up to a poster sized A3, with DL and square options too. Need it fast? 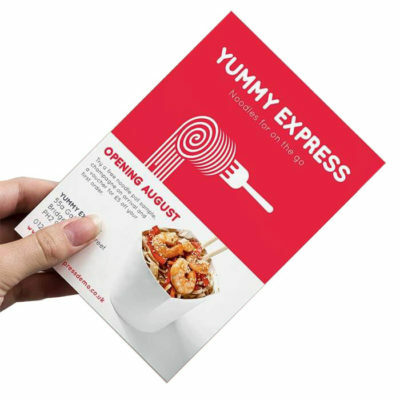 Same day flyer printing is available on 130gsm and 170gsm Gloss and Silk, 300gsm Coated and 400gsm Silk Flyers! Simply select the Same Day option, visible on weekdays before 11am, and we will print your Flyers that day and send on a next day courier service.